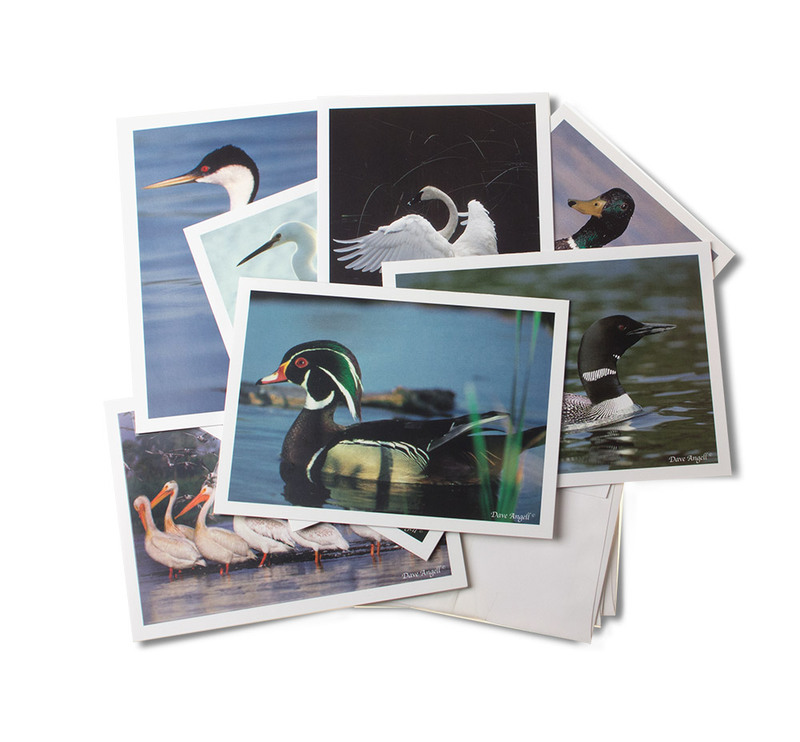 The Aquatic Birds group has 8 different bird images. There is an image of a Teal in Fog, Western Grebe, Wood Duck, Common Loon, Trumpeter Swan, American White Pelicans, Mallard, and a Snowy Egret. The cards are a folded 4 x 6 blank inside card.